DBHIDS | Kamilah Jackson, M.D. Dr. Kamilah Jackson is the Deputy Chief Medical Officer for Child and Adolescent Services at Community Behavioral Health (CBH) and the Department of Behavioral Health and Intellectual disability Services in Philadelphia (DBHIDS). In this role Dr. Jackson provides clinical leadership to CBH and DBHIDS in addressing the behavioral health needs of children supported by the public behavioral health system in Philadelphia. Dr. Jackson was a Mongan Commonwealth Fund/Harvard University Minority Health Policy Fellow at Harvard Medical School and Harvard University School of Public Health from 2009-2010 where she also obtained a Master of Public Health degree in May 2010. She completed her Child and Adolescent Psychiatry training at Yale Child Study Center where she was also the John Schowalter Chief Resident and an Edward Zigler Fellow in Child Development and Social Policy. She has worked in numerous hospital and community mental health settings including a faith-based community health center. Her interests include health equity, mental health parity, strengthening public mental health safety nets for children and families and health integration. Dr. Jackson received her medical degree from Columbia University College of Physicians and Surgeons (P&S) in 2004 and completed her residency in Adult Psychiatry at the Emory University School of Medicine in 2007. She is a Diplomate of the American Board of Psychiatry and Neurology in Adult Psychiatry and Child and Adolescent Psychiatry and is also a member of the Child Committee of the Group for the Advancement for Psychiatry (GAP). 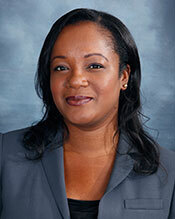 She also serves as a volunteer faculty in the Child/Adolescent Psychiatry Training Program at Jefferson Medical School.